After years of waiting, we have the iPad, its pre-order date, its ship date, and its price structure. Which one should you get? The answer depends on how you plan to use it, let’s break it down. You need the 3G model. Nothing will be more frustrating to you than constantly not being able to use the device that you dropped so much money on for what you want. Think airports. No free WiFi. You need to have 3G access. Storage capacity probably does not matter to you as much, so you can skimp on the gigabytes. Get your favorite songs in there, and get surfing. Only buy an iPad for browsing if you are dead serious about it. It’s going to cost you more up-front and more every month for 3G. Check the ROI of this investment before you pull the trigger. If you are an audiophile, the wireless 64 gigabyte version should suit you just fine. Of course, 64 gigabytes will not hold all of your tunes, but it will hold enough to get you by. If you do however plan on constantly buying music from iTunes on the go, contemplate getting a 3G iPad. Bad news? You need the most storage that you can get, and if you spring for 3G you are buying the most expensive iPad there is. However, if you love Pandora, and just want that on the home wireless network, you may be able to squeak by with a lower capacity WiFi only model, the cheapest end of the spectrum. Save a penny, earn a penny. You are going to be in one of two camps then, the cheapest or the most expensive. If you plan on buying an iPad so that you can tear into the firmwear and raise all sorts of hell, then you might want to hedge your bet and spend as little as possible. Then again, what fun is modding a handicapped system? Buy the best iPad and your hacks and cracks might be more fun to devise and use. Of course, Apple frowns on such activities. Buying expensive devices and voiding warranties is a recipe for wallet-holes. Then you only have two considerations: your budget and how much you want to kiss AT&T. First, decide if you are willing to spring every month (or at least half, say) for AT&T pay-as-you-go 3G access. 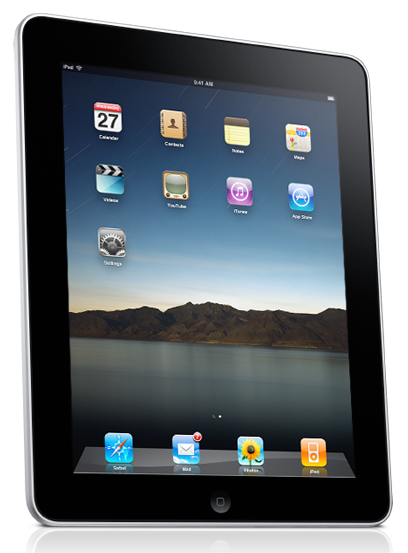 Then look at the three models of the iPad line you have selected (with or without 3G), and buy the best one you can. They are going to keep their value damn well. Here is the full pricing rubric from Apple, which iPad are you going to get?